Just about everyone is familiar with the Global Positioning System or GPS, which can determine the precise position of any person or object on earth based on satellite signals. But what about indoor location tracking? GPS doesn’t work well inside buildings—that’s where an indoor positioning system (IPS), or indoor location tracking, comes in. What is an indoor positioning system? Like a GPS for indoor environments, IPS refers to the technology that helps locate people and objects indoors. That location information is then fed into some type of application software to make the information useful. For instance, IPS technologies enable a number of location-based solutions, including real-time location systems (RTLS), wayfinding, inventory management, and first responder location systems. As you’re reading, keep this in mind: It’s good to understand the different types of indoor tracking technologies, but the positioning technology itself shouldn’t be your primary concern—the real value lies in the software connected to a particular technology. Knowing how location tags work is like knowing what’s happening “under the IPS hood.” That’s great, but it’s how you use that location information that provides the real value—how will it make a difference in your business? The software it feeds into plays a big role in creating that value, so it’s important to evaluate the system as a whole. If you’re just starting out with indoor location tracking and have a tight budget for experimentation, buying a system that’s expensive, hard to use, and difficult to scale is likely to negate the benefits you’ll get from the collected data. On the other hand, a cost-effective, easy-to-use solution will help you make the most of your IPS investment, and create real business value as a result. Below I’ve made note of the most common use cases for each indoor tracking technology, as well as some of the drawbacks and benefits of each. Proximity-based systems can detect the general location of a person or object at room level within a facility. (That’s in contrast to a precision system like ultra wide-band, named below, which pinpoints the exact, precise location of something down to a “dot on the map.”) Proximity-based systems use tags and beacons for indoor positioning, and they are either reader-based or reference point-based. In a reader-based system, simple, inexpensive tags (“dumb” tags) transmit their identification continually to a number of reader devices. Those reader devices then pass the tags’ identifications and signal strength to a backend system, which then calculates the positions of each tag. 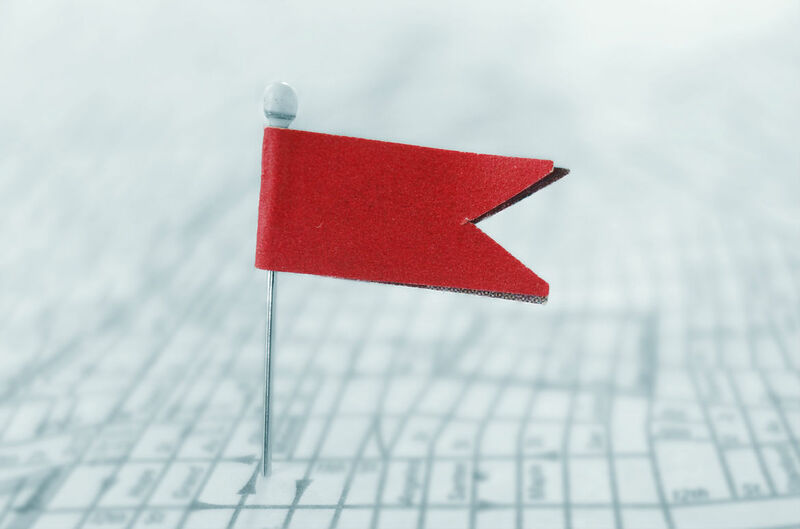 A reference point-based system—of which AirFinder is a good example—uses standard Bluetooth Low Energy (BLE) beacons as location reference points together with “smart” location-aware tags. The tags calculate their own location based on the location of the reference points, and then connect to a central access point to relay this information. The BLE access points, spaced about every 100 feet in a facility, receive the encrypted location data from the tag and send it to the server. Both types of proximity-based systems can accomplish simple indoor localization at the lowest cost. They are ubiquitous in both healthcare and manufacturing, as well as some other industries. Reference point-based systems, however, are the most inexpensive of the proximity solutions because of their architecture—they don’t need as many connected readers because of their low-cost reference points. They also enable prolonged battery life and deliver more accurate location information than reader-based systems. Read more about precision, proximity, and outdoor tracking solutions—and how to choose the right one for your needs. In a WiFi-based system, tags are WiFi transmitters that send simple packets to a number of WiFi access points in a facility. These access points report the time and strength of that reading to a backend, which uses algorithms to compute position. The location information is then sent to the cloud. WiFi indoor positioning systems give a fairly high level of accuracy—from three to five meters—because they use time difference of arrival (TDOA) measurements with wide bandwidth. But to achieve this level of accuracy you need at least three access points to “hear” each tag transmission. If you don’t already have the WiFi access points to support it, this could be an expensive solution. WiFi tags are also fairly expensive ($40-$60 per tag), and usually less power-efficient than their alternatives. That said, Wifi is commonly used in both healthcare and manufacturing settings. UWB is a cool technology. Three or more ultra wide-band readers transmit a very wide pulse over a GHz of spectrum. The readers then listen for chirps from ultra wide-band tags. These tags have a spark-gap-style exciter that generates a little pulse within them, which creates a short, coded, very wide, nearly instantaneous burst. The readers then report very accurate time measurements from the tags back to a central server. Because the UWB signal is extremely wide, the accuracy of the location information is very good—probably the most accurate of any system available. A drawback, however, is that UWB is the most expensive system to install. Even though UWB tags are inexpensive, every location has to have at least three (expensive) readers in it because of the limited range of the tags. One thing I’ve noticed in discussions with people who use UWB is that, even though they bought it for the pinpoint precision it delivers, they don’t actually find value in knowing where something is down to the actual XY position. (“I don’t need to know which side of the bed the nurse is standing on, I just need to know she’s in the room.”) As a result, they often implement it in a way that “dumbs” it down—so it delivers only proximity-level location information. In that case, proximity-based technology is cheaper. Note that there are situations in which precision location is useful, as in inventory management or tracking the flow of materials in a manufacturing facility. (UWB is not used at all in hospitals, but it is used extensively in warehouses.) It all comes back to evaluating the overall package to ensure you’re getting a solution that matches your actual needs. A number of new indoor positioning systems have come onto the market that use ultrasonic pulses from tags to locate them within an indoor environment. An acoustic system works almost exactly like UWB except it uses sound instead of radio. The tags emit a sound in the ultrasonic range (so you can’t hear it). Receivers in the room (sometimes multiple, and sometimes a single “smart” one) pick up those sounds and locate the tags that way. One benefit of using sound has to do with resolving multipath. If you’re sending a transmission and taking a time measurement, you can guess the location based on the speed. If that signal bounces off the wall on the way there, you now have a “multipath”—or maybe dozens of them. The ability to mathematically differentiate between a direct path and a multipath is purely a function of the speed of the medium divided by the bandwidth. So your multipath resolution ability is the speed of sound divided by the bandwidth. Acoustic systems require less signal bandwidth to resolve multipath because the speed of sound is so much less than the speed of light. Sonar-based systems can be very accurate as well—even as accurate as UWB. The cost depends on your situation: If you’re installing it in new construction, it won’t cost much to wire a sensor into every room. 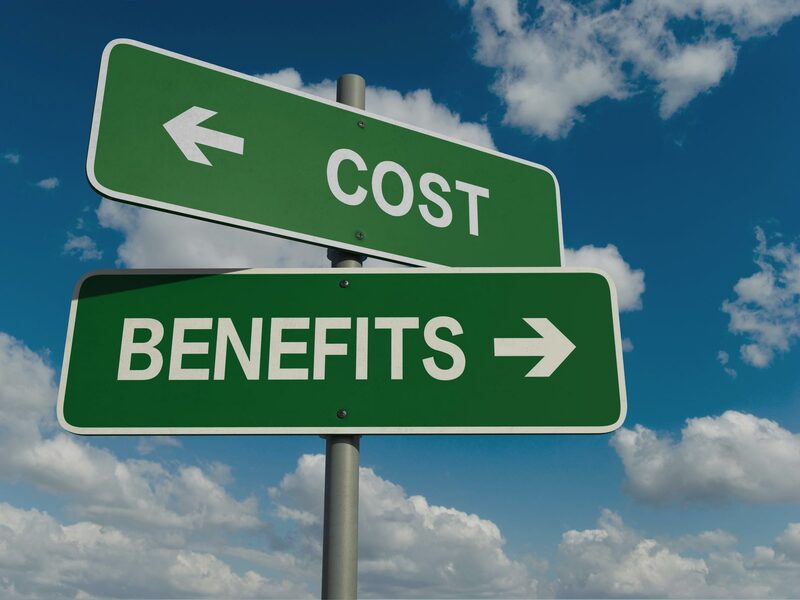 If you’re trying to retrofit an existing building with sensors, the cost would be high. Tags, however, are inexpensive. For now, acoustic systems are an uncommonly-used, niche technology, though healthcare offers the most potential for use cases in the near future. Infrared-based indoor localization systems use infrared light pulses (like a TV remote) to locate signals inside a building. IR receivers are installed in every room, and when the IR tag pulses, it is read by the IR receiver device. Infrared is a near foolproof way to guarantee room-level accuracy. It uses light instead of radio waves, which can’t go through walls—if the system says an asset is in room 4B, it is in room 4B without a doubt. Radio-based systems have more trouble with false positives, as the radio waves can sometimes be picked up by other readers through walls. While the tags are low-cost and long-lasting, a drawback of infrared is that every room needs a wired IR reader to be installed in the ceiling. That’s fine if you’re installing it in new construction, but, just as with acoustic, retrofitting will be expensive. That’s why infrared systems are commonly used in new hospital construction, where rooms are definitively segmented. In an open-space warehouse, infrared would be a challenge—if three receivers read a light pulse, there’s no way to know which receiver the tag is closest to because it’s difficult to measure the relative signal strength of infrared. 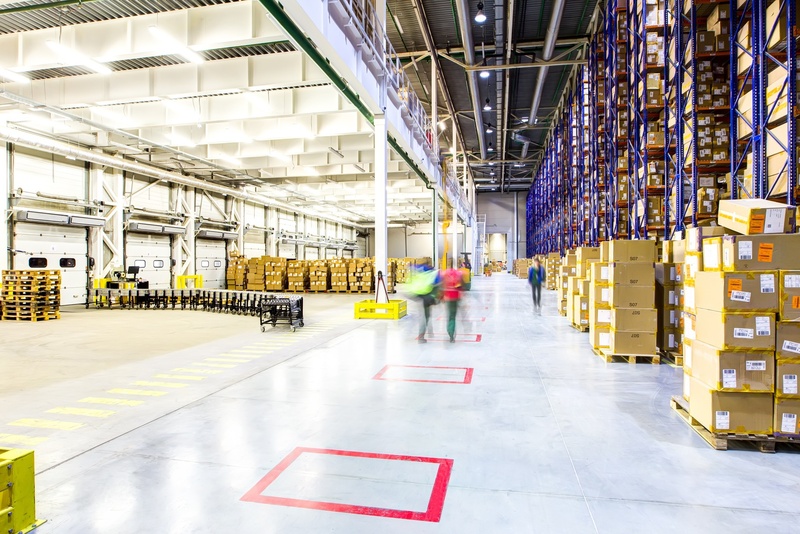 Generally speaking, radio technologies work better in open spaces characteristic of warehouses and manufacturing facilities. Interested in learning more about a low-cost proximity-based IPS system? AirFinder is the most accurate Bluetooth-based proximity system in the world. It can be configured to locate assets or people in a general area or down to a very specific location using a variety of proximity readers and reference points to achieve the level of accuracy required. And the BLE beacons it uses are sold in hundreds of different form factors, from many different manufacturers, which gives you control over price, size, battery, and enclosure materials. Cost-effective. iBeacon tags range from $2 to $15, and there’s no need for complex, expensive infrastructure. Easily deployed, without IT’s involvement. Easily scaled by adding more reference points. Highly secure because no location infrastructure touches your network. User-friendly and simple to navigate. Get an up-close look at AirFinder with a free demo. We’ll talk about how it can address your company’s specific indoor location tracking needs, and hit the highlights of the software’s reporting, dashboarding, and analytics capabilities. Find out why so many hospitals, construction sites, warehouses, and other facilities are using AirFinder for their location needs, and how it can work for you. ← Which Asset Location Technology Is Right For You? Is RFID Asset Tracking Still Viable? Which Asset Location Technology Is Right For You?